On Wednesday, July 12, Associated Bank was among 28 financial services companies nationwide to receive a 2017 Corporate Social Responsibility Leadership Award from the Financial Services Roundtable (FSR) — the leading legislative and regulatory advocacy organization for America’s financial services industry. The award, which recognizes companies that provide leadership in improving communities and expanding financial literacy in America, are part of FSR’s Corporate Social Responsibility Program. The program promotes the positive impact that members like Associated Bank are making locally, nationally and even globally. Contributions are measured by investments in social-business opportunities; support of social causes; and contributions to nonprofits focused on financial education, community development and the environment. Each award was formally presented by a member of Congress from the recipient’s home state at the reception on Captiol Hill. 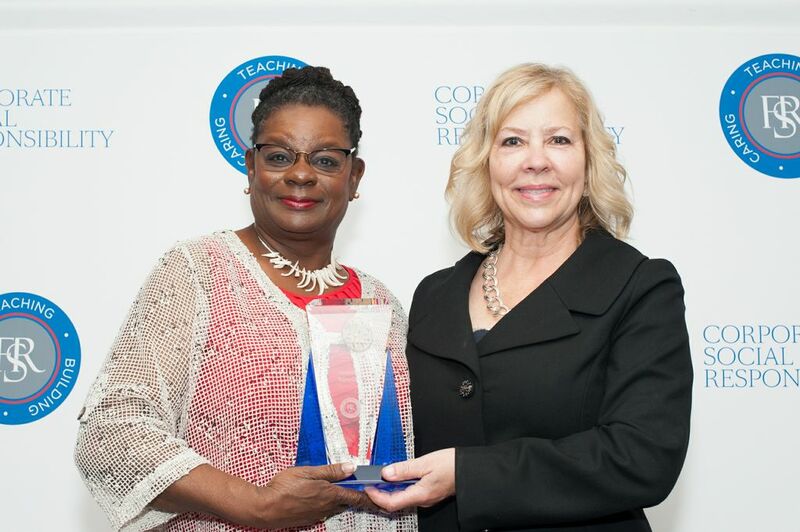 Congresswoman Gwen Moore, representing Wisconsin’s 4th congressional district, presented the award to Jill Wiess, corporate social responsibility manager, on behalf of Associated Bank.